A bright, thriving hedge can be the finishing touch to a garden, and our hedging plants make planting your new hedge simple. Simply choose your favourite from our selection of hedging and decide how many plants you need to get going. Don’t worry if you don’t know your bare root from your potted varieties when it comes to hedging. 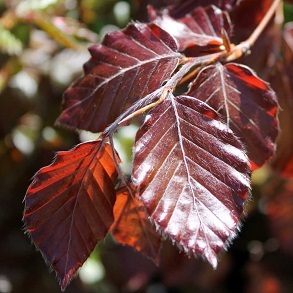 Bare root plants are great value for money, so if your priority is making your budget stretch then they’re perfect. If you’re keen to achieve great results without the wait, potted hedge plants can be planted any time of year (rather than from autumn to spring), and will establish quickly. It’s important to think about how thick you want your hedge to be, and how much you’re happy to spend before choosing your hedging plants. When it comes to spacing, there are some general guidelines to follow if you want to keep things nice and simple. You’ll find guidelines for planting your bare root and potted hedge plants on the pages below. When planting, it’s always a good idea to look at the soil first. It may be appropriate to add some compost or well-rotted manure to the planting hole or trench and mix it in well, ideally with a good all-purpose feed like Bonemeal which will help to give the hedge a good start. Once they are planted, it’s a good idea to trim the tops off. 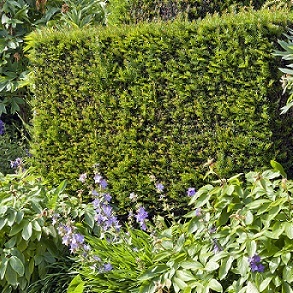 This not only neatens the tops and makes them all look the same, but also promotes new shoots from lower down the plant which in time will make a much bushier hedge and less gaps lower down. Once planted, firm them in with your feet and give a really good water. 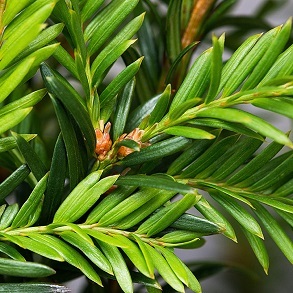 For the following year or so, the hedge may need regular watering if the weather is warm and dry in order to avoid causing stress to the plant and them drying out before the roots are fully established. Rake in some feed such as Bonemeal each spring to help give it a boost when it starts to grow. It’s good practice to trim the hedge annually. Even if it hasn’t reached the height you require, give it a little trim, just into the growth made last year to continue to encourage it to bush out. This may make it a little longer to grow the hedge but you will be rewarded with a much better hedge for many years to come. Happy hedge growing!